Making sure you’re digitally credited for the music you make is key to your income—and your success. This material has been prepared for informational purposes only, and is not intended to provide legal or accounting advice. Those decisions are ultimately yours to make. We're just here to help. If the word “metadata” doesn’t jolt you awake with visions of great wealth, then either you are not employed in the digital-music business or you are a perfectly normal, well-adjusted person. Most likely both. Because the thing about metadata is this: It’s as fundamental to digital music—whether you’re making it, marketing it, or simply enjoying it—as flour is in your bread. For the uninitiated, metadata is literally “data about other data”; it gives structure and context to a given set of bits and bytes. In keeping with our metaphor, you might say that metadata is the gluten holding together that delicious, doughy loaf of ciabatta (apologies to readers on the keto diet). Music metadata, more specifically, is the collection of information that pertains to a song file, such as Artist Name, Producer, Writer, Song Title, Release Date, Genre or Track Duration, to name a few. For now we are focused mainly on publishing metadata, or the data that refers to who wrote what and in what proportion. If any of this information is missing or incorrect, it can have an adverse effect on how its creators are compensated. Tyler White is a Product Manager in the Music Publishers & Songwriters group at Spotify, the team that brought songwriter and producer credits to Spotify’s desktop app in February and then to Spotify’s iOS app this week. According to White, “Accurate publishing metadata is essential to ensure that you get paid as a songwriter.” In other words: No Gluten, No Bread. In general, income opportunities for a songwriter are threefold. “The three main royalty streams are mechanical royalties, public performance royalties, and synchronization royalties,” explains Andrew Sparkler, SVP of Business Development at Downtown Music Publishing, which represents a wide range of clients including Ryan Tedder, Mötley Crüe, One Direction, John Prine, and the John Lennon catalog. Publishing companies like Downtown are a fundamental piece of the songwriter ecosystem. They generate revenue through their efforts to license their catalog in TV shows, films, and advertisements, while at the same time collecting their songwriters’ royalties via the various revenue channels including, but not limited to, radio spins, jukebox plays, sales of physical albums, and, yes, digital streams. While a deep dive into each revenue channel is beyond the scope of this piece, you shouldn’t be surprised to learn that the accuracy of a songwriter’s digital revenue directly correlates to the accuracy of the publishing metadata that accompanies his or her work. 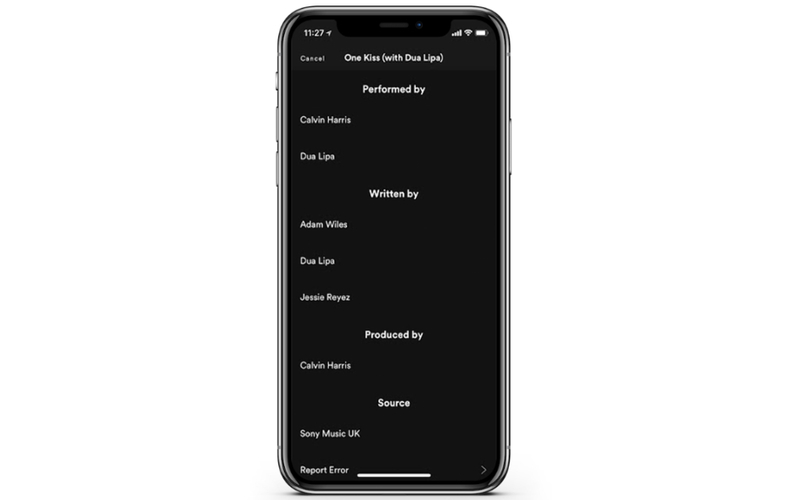 “Supplying your publishing metadata right from the very beginning is the best way to prevent problems down the line,” says White, who cites missing or incomplete songwriter information as a particularly challenging issue faced by the digital-music industry. 1.) Send your credits and your splits (the percentage you contribute to a track) to the appropriate people before a track is released. By agreeing to the appropriate writing splits with all co-writers and/or producers as early as possible -- and having a written document of this agreement -- you will avoid the unintended result whereby nobody gets credited or paid appropriately. Finally, agree on “label copy” with the artist, manager and label. This refers to how you, as writer or producer, will be listed on the public-view of the song once it is released. 2.) Ensure that whenever you complete a song, you send all the information about it to your publisher and your collecting society (EU) or performance rights organization (US). Having an accurate registration of a song ensures that you receive publishing royalties from all sources, including but not limited to Spotify. This is important even when you are not certain when or if the song will be released. 3.) Log on to Spotify and ensure that the songs you wrote, entirely or in part, display the proper credit. If not, it likely means that the information was missing or incomplete when the music was ingested. In this case you should contact the company that distributes your work to digital music services, whether that be a label or a digital aggregator like Tunecore, CD Baby, or Distrokid. Now more than ever songwriters are asked to be digital-music entrepreneurs by handling tasks that were traditionally the purview of others. But vigilance around things like metadata accuracy does pay off—literally.